Wir haben „Crash Landing“ von Rae Spoon aus Montreal geremixt und mit unserer eigenen Note versehen. Am Donnerstag, 07.06., werden Psycho & Plastic und Rae Spoon in Berlin dann auch in Fleisch und Blut aufeinander treffen. Wir treten zusammen bei Mixed Nuts im Monster Ronson’s auf. Nicht verpassen! 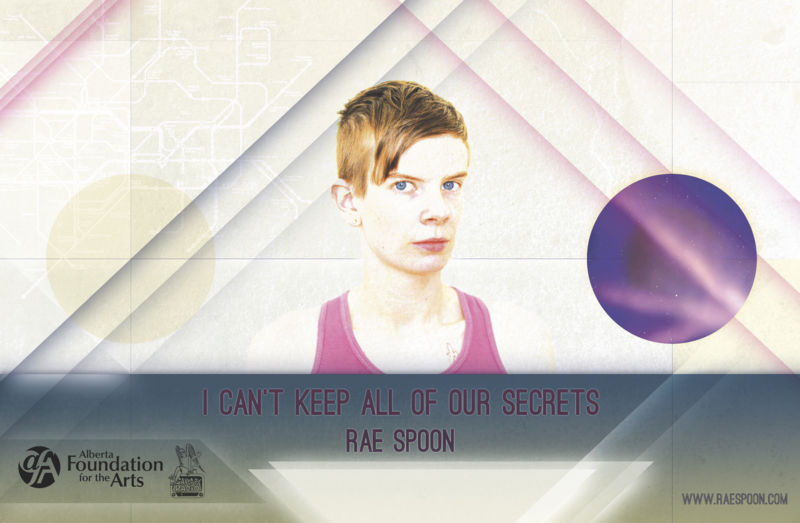 We’ve remixed „Crash Landing“ by Rae Spoon from Montreal and added our own flavour to it. On Thursday, June 7th, Psycho & Plastic and Rae Spoon will meet in the flesh in Berlin, when we’ll share the stage at Mixed Nuts at Monster Ronson’s. Don’t miss this! „I Can’t Keep All Of Our Secrets“. Den gibt’s demnächst zu hören ! We are happy because we’re working on a remix of a song from Rae Spoon ’s new Album, which you will be able to hear soon !